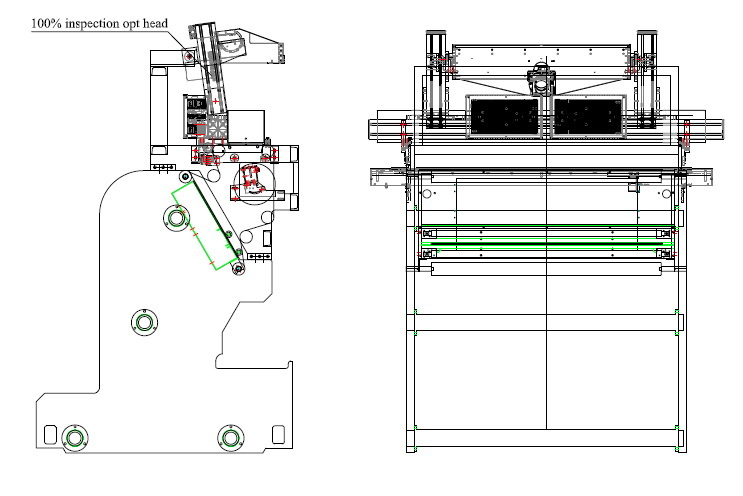 Reversible Rewinding Machine and Roll Inspecting Machine(FSE-2) - HCI Converting Equipment Co., Ltd. The left and right unwind arms are dived by motor; the operator can adjust the width freely. 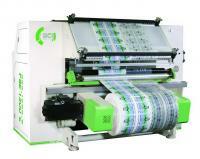 Equipped with unwind control panel, single operator is required to manipulate and load the parent roll. Unwind is driven by servo motor with inverter providing the most accurate control. The winding tension is sensed by load cell and compared to set tension. The control system will increases or decreases tension according to the calculated the tension difference automatically. It can maintain the stable tension output during whole operation. 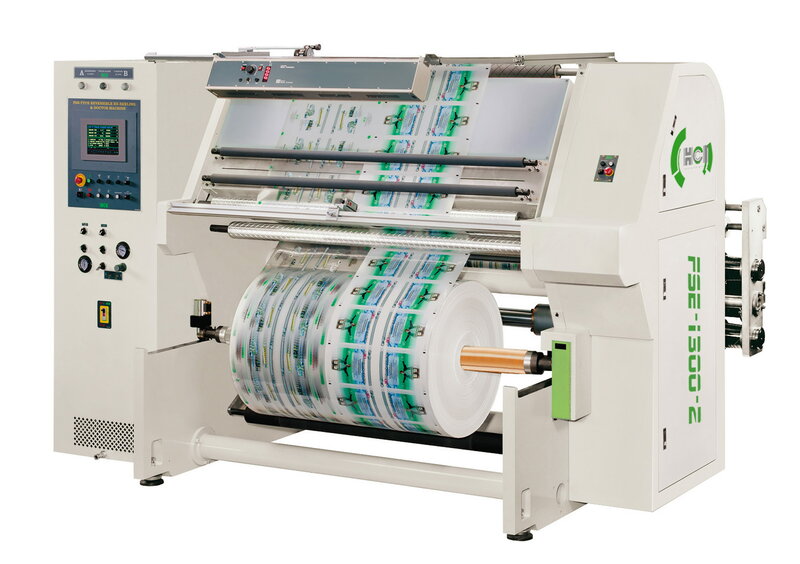 One machine with two functions: Install a trimming cutting unit for edges slitting. Equipped with vacuum type trim disposal system. Specially designed ejectors with powerful ventilators remove the edge of web. Equipped with observed board and fluorescent lamps for visual checking. Length memorized and auto reverse function. Rewind is driven by servo motor with inverter providing the most accurate control. The rewinding direction can be changed in any time with forward / reverse jogging functions. Equipped with pneumatic lay-on roller. 8" LCD colorful touch screen and simple figure display for setting. Stroboscope for inspecting the defectives of the printed film. Splicing table with pneumatic press-bar. Speed up to 300 m/min. Auto inspection system such as BST, AVT, E+L and so on is available add on FSE-2 Rewinding Machine.